Substances isolated from different parts of birch are used in cosmetic industry for the production of soaps and shampoos. Bark contains substances such as betulin and betulinic acid that are used in the pharmaceutical industry. Bark is used as old folk remedy for the stomach ache. Also, soaked bark can be used as a cast for the broken arm. Pollen of the birch tree is responsible for 15 to 20% cases of hay fever in northern hemisphere. Leaves of birch are used in the preparation of tea in Finland. Birch sap is used in the manufacture of wine and beer in the northern Europe, Russia and China. It can also serve as a substitute for sugar. Birch syrup, made of birch sap, is used like a dressing for the pancakes. Birch tree can live from 30 to 200 years, depending on the species, quality of the soil and climate. Wood of birch tree is used in the manufacture of furniture, toys, basketball courts, doors and canoes. Wood of Paper Birch is used in the production of paper. Wood of birch tree is highly flammable. It can catch a fire even when it is wet. Because of that, birch tree is used as high-quality firewood. Seeds and bark of the birch are source of food for forest animals such as rabbits, deer and birds. Birch tree produces fruit called "samara" which can release around 1 million seeds each year. Individual flowers are arranged in long clusters known as catkins. They hang from the branches during the summer. 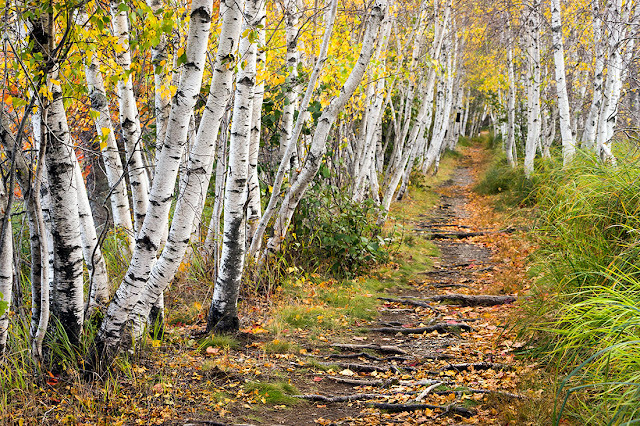 Birch has shallow root system which can damage sidewalks and roads in urban areas. Bark of the birch can be white, grey, yellow, silver or black in color. Young trees have smooth bark. Deep ridges on the bark are characteristic for the older plants. Bark of all birch species (except Grey Birch) peels off in long horizontal strips. Birch has green leaves that are oval or elliptical in shape. Leaves are single or double serrated on the edges. Birch is a medium-sized tree that can reach 30 to 50 feet in height. Some species may grow to the height of 80 feet under appropriate conditions. The birch is New Hampshire’s state tree.